Developed around frequency-agile DSMR technology, the SR215 receiver provides exceptional range and response, particularly in noisy RF environments where a solid 2.4GHz link is vital. Not just is the 2.4ghz link solid, this design also implements our lightning quickly 5.5ms frame rate, supplying a quicker , low-latency connection for the pro-level enthusiast. The SR215 also features a new, contemporary case design that is small, structured, and ready for nearly any RC application. The case also features added antenna assistance and an incorporated antenna tube slot for flawlessly simple installation. No more bind plugs! Instead, a user friendly bind button is utilized to go into the bind mode. Plus, while binding, you have the choice of SmartSafe™ as well as predetermined ‘Gas’ failsafe alternatives. 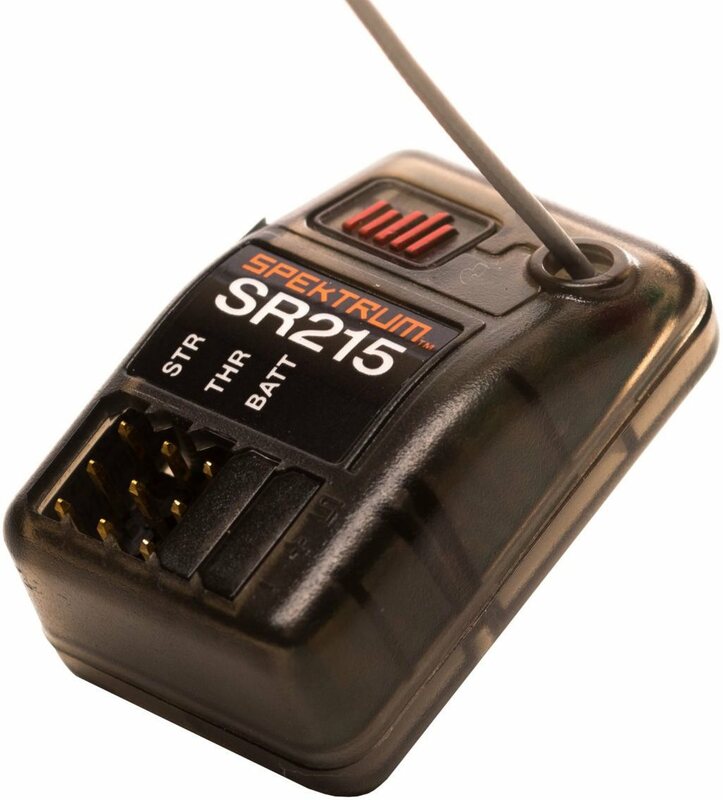 All combined, Spektrum offers drivers more features in an affordable receiver, so you can drive with confidence.